Repentance is the biblical concept of correcting ones course of action and direction. Teshuvah is ceasing to do what is wrong and embracing what is correct. For Noahides teshuvah is just as important as it is for Jews. There are certain rites that Jews do as "the nation of priests" (Exodus 19:6) that are not required for Noahides, including some that are specifically only for Jews, however everyone should practice teshuvah. Indeed more than a practice, teshuvah should be part of the lifestyle of all who call upon the Name of HaShem. Teshuvah is a sign of ones humanity! Teshuvah is only possible because we humans have been granted free will by our Creator. 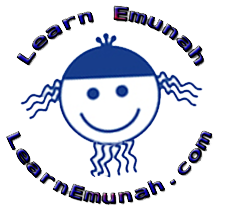 When a person makes teshuvah he or she is expressing true freedom and individuality. This freedom is based on the uniquely human dual nature given to us by HaShem. Through free will humans are empowered to alter our ways, to change our course of behavior and to make tikun or soul corrections. These soul corrections make it possible for us to be counted among the Perfected Community of the World to Come! Teshuvah is therefore empowering and liberating! Both materially and spiritually. When a person has been following his or her yetzer hara or selfish inclination and decides to abandon that negative path in order to rectify his course, it is an act of true freedom and self determination. Such a person chooses to go from darkness into the light. This passage is teshuvah, which is to say, returning to the derech (or Path of Light). For Noahides in particular, this transition includes abandoning avodah zarah (non-Torah religious practices and beliefs). They turn their backs on their beliefs and commit themselves to Derech Noahide. Such enlightened Noahidim embrace yetzer ha'tov (the way of selflessness) and thereby naturally advance into ever greater harmony with the Creator's desire. Such a wise Gentile makes teshuvah for past indiscretions, beliefs and practices and commits himself to the Noahide Covenant. Doing this will completely change his or her life course. Derech Noahide is about much more than embrace seven external rules! When a Gentile has been engaged in any form of avodah zarah (i.e. worship that is alien to the Derech HaTorah) and decides to make teshuvah as a Noahide, he or she will naturally feel regret for his previous course of action. Realizing his former path was in opposition to the Torah, the Noahide will naturally seek forgiveness and admittance to the proper path. At this point he will study the Seven Laws and begin incorporating them into his life. This decision is not pleasing to the yetzer ha'ra! The yetzer hara or negative, selfish inclination, resides deeply within the human consciousness. It has tentacles, so to speak, that reach throughout the consciousness into every area of the person's life, drawing forth temptations and dark misdirections aimed at maintaining the old ego's hold. We sometimes conceive of the yetzer hara as a personality, a devil, a Haman, an Amalek and so on. In truth however this impulse is part of who we are. Those who would know HaShem and become part of His Perfected Community must do battle with the yetzer hara and defeat it. We have everything we need to defeat this enemy, if we choose to do so. When equipping ourselves for the inner conflicts we have powerful tools at our disposal. Among our chief tools is Torah study and the performance of the various mitzvot. These are vital, however we need to understand that these tools are not ends of themselves. Informed Torah study enlightens the consciousness to greater truth and inspires us, the performance of mitzvot activates the consciousness to choose tikun or soul rectification. Again, both are essential however they must be activated! Head knowledge and mechanical deeds may help, but not enough. Teshuvah occurs once the consciousness has been "sparked" by the Torah and mitzvot. This inner fire is needed to purify the consciousness of avodah zarah an other manifestations of the yetzer hara. The sparks must be kindled and fanned into flames of holiness. Only in the warmth of this fire will the soul find and embrace forgiveness and the strength to move forward. This flame purifies everything. For this reason someone living alone in a forest can go out of his mind. This is because all the warring nations are contained within him. Each one attacks the other, and his personality keeps changing depending on which of the nations within him prevails. Swinging from one extreme to another can drive him insane. But when a person lives with others, these battles are played out among the different members of the household, or between neighbors and friends and so on. Not only do we need peace with HaShem, we need peace with each other. It is of limited use to seek HaShem's forgiveness for wrongs done to another person if we have not sought to make things right with the offended person. First we should go to the person, seeking peace. If the offense included material wrongdoing seek to make it right through restitution. If we took what was not ours, we must return or replace it. If the offense was committed with harsh or uncaring words, if we caused hurt feelings, we humbly request the person's forgiveness and seek to negate those feelings. In cases of lashon hara, sincere teshuvah may require a more public expression in order to undo the damage. In most cases we seek forgiveness and make restitution privately, but sometimes a public apology may be required, especially when the offense was committed in public. Public displays of "righteousness" and "repentance" are seldom motivated by a spirit of yetzer tov however and so one must carefully examine his motives. "Show bottle piety" is an ever present scourge on humanity! Only after sincerely seeking rectification do we seek the forgiveness of HaShem and the "heavenly Court." Our attempts at correcting the situation then become evidence offered before the Court. Once one has attempted to correct the wrong and requested unification with the Holy One, then the consciousness may rest assured forgiveness has been granted and the incident can then be released into the sands of time, resolved as far as the east is from the west (Psalm 103:12). Then there is shalom. What if the person refuses to accept our sincere apology, or even mocks us for the attempt? Traditionally we make three sincere attempts at rectifying such situations. If peace is restored right away Baruch HaShem! After three attempts, if the person refuses to grant forgiveness, we have done our duty with regards to that person. Or task is not yet complete however. We must now search within our own consciousness, we must be honest with ourselves about any wrongs we may have done in the affair. Having achieved as accurate and balanced an understanding about the incident as we can, we choose by our will to release any and all lingering negative feelings we may have toward the person or incident. We replace those feelings with love and blessings as much as we can. This includes forgiving the other person's decision not to forgive us. He or she has that right and may choose to deny our request. Having done what we can however, we seek HaShem's unifying mercy through hitbodedut (or personal, secluded prayer). At this point, we let the incident and negative feelings go, accepting that HaShem's forgiveness has been bestowed. The 'Sacred Sigh' can be useful here. Holding the incident in mind, thank HaShem for its resolution. Take a deep healing breath and slowly release it with a long intentional sigh. As the sigh leaves your body, so too does the now rectified event or offense. With the following breath accept HaShem's forgiveness. Since HaShem has now granted us absolution our emunah empowers us to accept the forgiveness and to be free of any residual concerns of it. This too is teshuvah. We were "off the derech" but now we are back on it. Case closed. Know that when your fellow forgives you, it is really HaShem forgiving you! So be humble and ask for forgiveness from anyone and everyone who might conceivably have something against you, no matter how large or how small it might be. This includes online contacts, some of whom are easily offended by unintended words or thread comments. Likewise when your forgiveness is requested, grant it freely. Remember the words of Hillel, "That which displeases you do not do to another." When you ask for forgiveness you hope it will be granted, so too, grant your forgiveness when requested. Sometimes it is may be the wisest course of action to "forgive but not forget." We are encouraged to be forgiving but not to be naive. Nonetheless in such cases do everything in your power to sincerely forgive. This is way of renewed shalom. "I'm sorry I did this, but you have to admit, you were partly to blame." This is not an apology. Its a continuing justification. "I'm sorry I offended you when I said .... when I did....". This is an apology. No excuses. After apologies are exchanged other discussions about the incident may take place, but simple apologies are the best. Don't assume the other person recognizes their role in what happened, and don't make your apology contingent on this. Keep it simple and sincere. Consider how many times HaShem has forgiven you. There may be times when seeking forgiveness from another could place you or others in danger, either physically or emotionally. There are also situations in which reopening past "wounds" could be more negative than positive. The principle is always to protect life and seek peace. Don't do acts of teshuvah to make yourself feel better at the expense of another. Likewise sometimes the offense may be so far back in time that it may be better left there. Sometimes old hurts need to be revisited for closure. Each situation is unique and must be decided on its own merits and/or demerits. In all cases however make teshuvah for the sake of (re)establishing shalom, peace. Common sense is applicable in all things. When wisdom dictates it best to leave the past in the past, one can still mentally reconsider ones role and choose to forgive and move on with a clear consciousness where the hurt has been left in the past where it belongs. What if another person has wronged you? Forgive! Even if the person does not ask. Holding onto hurt feelings, anger and resentment only harms the unforgiving person. Such resentments are like a cancer eating away at the soul. Resentment can literally destroy everything in a person's life! Find your healing through forgiveness, even if your forgiveness is not requested. Release all pent up resentments you may feel. Pray the blessings of HaShem upon the other party, never harm, always bless. Release all the negative feelings and rediscover the peace of HaShem. Remember that everything comes from HaShem! Everything that happens takes place for our ultimate soul correction and good. So instead of holding onto to past wrongs say Baruch HaShem for them! Through what I once perceived as a wrong I now realize that I am being blessed! The wrong itself has helped bring me to this present moment of teshuvah! Please, HaShem, bless the person through whom You have so blessed me! But the Lord's kindness is from everlasting to everlasting, and His charity is to sons of sons -- Psalm 103:12-18.
Who is a God like You, Who forgives iniquity and passes over the transgression of the remnant of His heritage? He does not maintain His anger forever, for He desires loving-kindness. He shall return and grant us compassion; He shall hide our iniquities, and You shall cast into the depths of the sea all their sins. You shall give the truth of Jacob, the loving-kindness of Abraham, which You swore to our forefathers from days of yore -- Micah 7:18. Seek HaShem while He may be found, call out to Him when He is near. The wicked shall give up his way, and the man of iniquity his thoughts, and he shall return to the Lord, Who shall have mercy upon him, and to our God, for He will freely pardon -- Isaiah 55:6,7. Every single day approach HaShem in hitbodedut (private heartfelt prayer). Thank Him for all the good He allows you to do today, be specific about His mercies to you. Be grateful! Openly acknowledge everything you do wrong each day. Be specific, whether your shortcomings be in thought, word or action. Ask HaShem to forgive your shortcomings and to help you overcome your desires to sin in the future. Ask HaShem to help you conduct your affairs properly as you should. Do everything in your power to keep the books of judgement clean through right action and regular prayer! In this way, you will cleanse your consciousness, remove stress from your life, improve your relationships with the world around you, and most importantly, you will attach yourself ever more firmly to HaShem who has forgiven you for so very much. "God always takes into account the good that people do. Perhaps something not so good was mixed in, but God disregards it. If this is God's way, we should try all the more to do the same. Don't look for other people's bad side or search out their weak points and shortcomings. Look only for the good in others and always search for worth and merit in them. Then you will be at peace with everyone" -- Rebbe Nachman of Breslov, Likutey Moharan II, 1.